Srinagar: Three people were Monday arrested in the Nizamabad district of Telangana for allegedly uploading anti-national and pro-Pakistan video on the social media in the aftermath of the Pulwama attack, police said. The trio – two from Uttar Pradesh and another from Telangana – uploaded the video. The video purportedly showed the three dancing with a voice in the background allegedly raising anti-India and pro-Pakistan slogans, an investigating official told news gathering agency PTI over phone. Upon seeing the video, a person complained to the police. Based on the complaint, a case under IPC sections 153 A (promoting enmity) and 505 (2) (public mischief) was registered and the trio arrested, the official said. 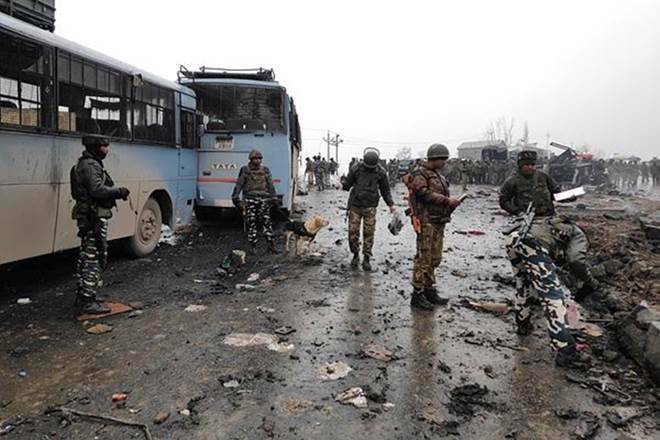 49 CRPF personnel were killed last Thursday in one of the deadliest attacks in Jammu and Kashmir when a Jaish suicide bomber rammed a vehicle carrying explosives into their bus in Pulwama district.